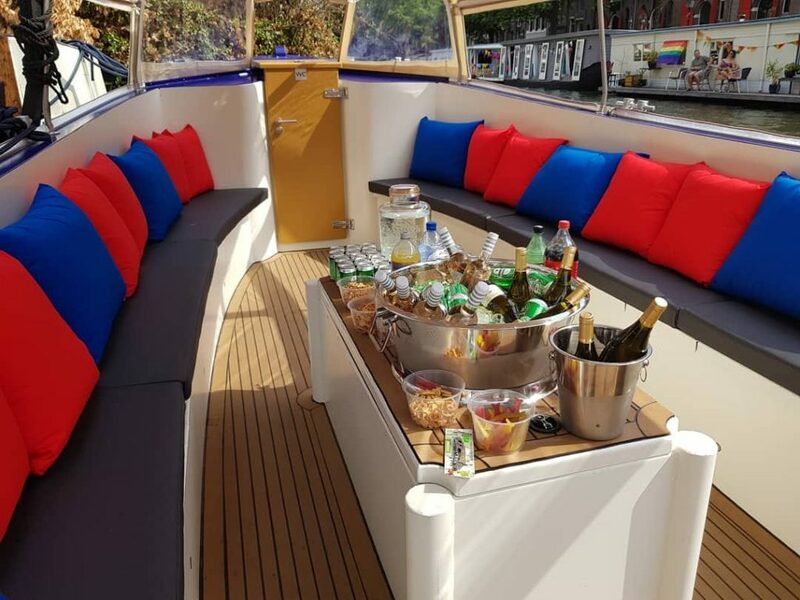 The city is known for many things –its iconic canals, picturesque and historic cityscape and, of course, the famous Amsterdam booze cruise – So why not combine all of these things in the best way possible and enjoy some wonderful beer on our luxurious electric boat ? 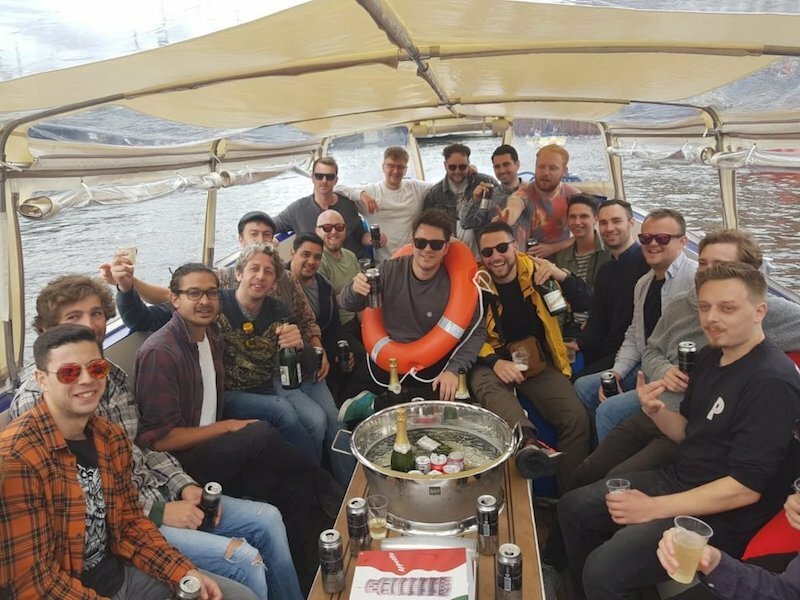 No trip to Amsterdam is complete without a trip out on the canals so let’s make our Amsterdam Booze cruise the highlight of your day! Pick up location: Kamperbrug, near Central Station. Please choose date and let us know your time preference and we will get back to you as soon as possible. You can tell us a time preference but we can’t guarantee you a certain time. Our boats are fully booked quite often. We recommend to book this activity at least 48 hours in advance. Bookings can be cancelled free of charge until 48 hours before the booking. Unfortunately music on boats is strictly forbidden in the Amsterdam canals. Are you with your family/ friends? Are you at a stag party? Are you at a hen party? 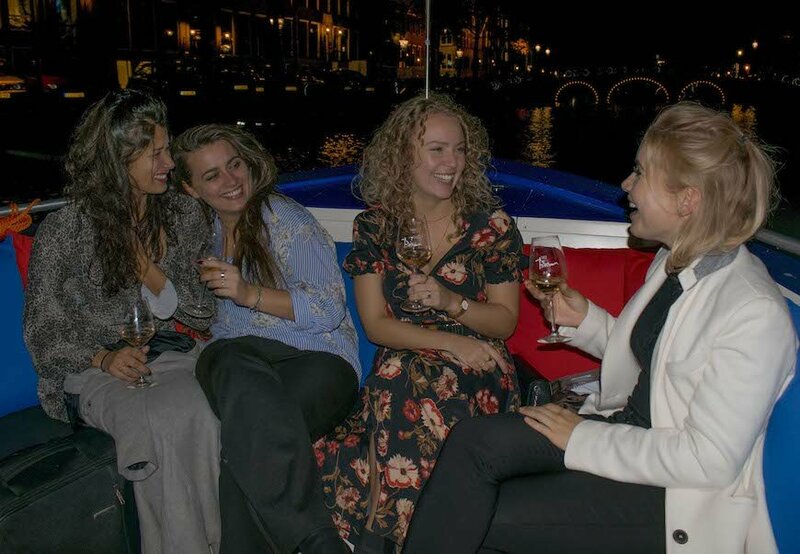 Whether you’re celebrating a special occasion in style, or just looking for a perfect day out with friends, we offer a flexible and unforgettable Booze cruise on Amsterdam’s canals. If you want to spend some quality time just with your friends or family this is a great option for you. One of our captains will show you a great time, leaving you to focus on the important things – kicking back and soaking in Amsterdam’s laid back atmosphere and world-famous sights. See the stunning sights of Amsterdam the best way – with a cold drink in your hand! 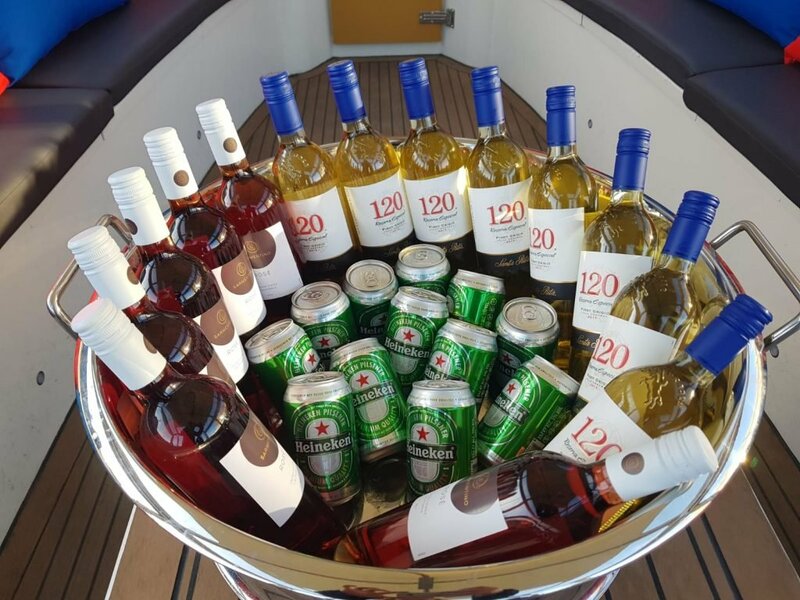 You can enjoy an electric boat ride for 90 minutes including unlimited drinks (beer/wine/soda), comfortable heated pillows and great service. Our professional skipper will be sailing one of our luxury boats and our host will be entertaining you through the canals! 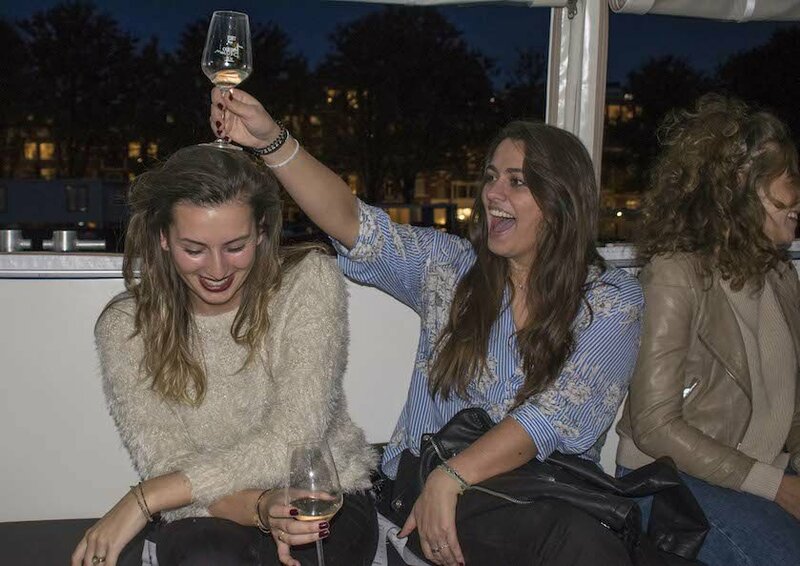 So if you’re looking to experience a boozey boat ride through this beautiful city, our Amsterdam booze cruise sure is the best way to do it! Just let us know a date, preferred time and number of guests, and your Amsterdam booze cruise can start! This unforgettable experience is waiting just for you. Make your reservations above and let your amazing cruise begin. We Are Amsterdam is more than an agency: it’s a community! We are dedicated to show visitors the best experiences in our city.